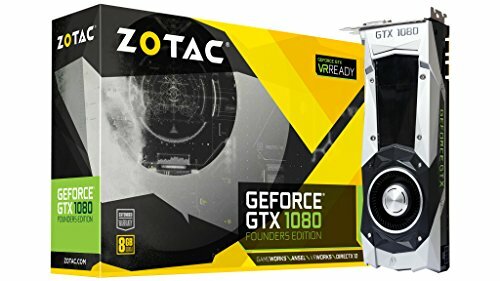 Nvidia's flagship GeForce GTX 1080 Founders Edition is the most advanced gaming GPU ever created, powered by the new Nvidia Pascal architecture. 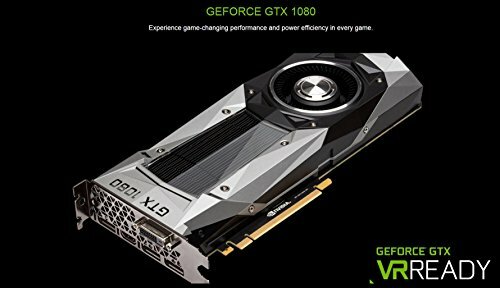 The GeForce GTX 1080 Founders Edition comes with ultra-fast FinFET and high-bandwidth GDDR5X technologies, plus support for DirectX 12 features to deliver the fastest, smoothest, most power-efficient gaming experiences. Get the power to drive VR, ultra-high-resolution and multiple monitors. Plus, bring more realism to every game with Nvidia GameWorks technologies that deliver a true cinematic experience, smoother gameplay and amazing new image-capture to share your game. All with the lowest latency and plug-and-play compatibility with leading VR headsets.